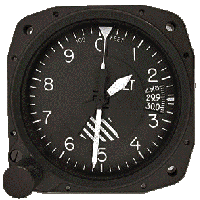 The Altimeter is designed for use in aircraft to help the pilot determine altitude, the height above a reference point (generally mean sea level). The Altimeter measures existing atmospheric pressure, which varies with altitude. Based on the assumption of Standard Day conditions of temperature and air pressure, the altimeter translates this pressure into a "height-above-sea-level" value, which is indicated on the dial of the instrument in feet. 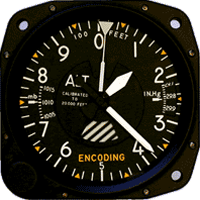 The Encoding Altimeter is designed for use in aircraft to help the pilot determine altitude, the height above a reference point (generally mean sea level). The 5506 Series Servoed Encoding Altimeter has a patented mechanism, designed with emphasis on accuracy and reliability. When used with the 5506L series Altitude Alerter, accuracy is maintained at less than 25 feet in the entire calibrated range. These units are approved for and fully compatible with Collins Autopilot System, APS-65.